An excellent source of fatty acids, minerals and vitamins, Sunflower Seeds are sweet and nutty in taste. Our company is a distinguished Supplier and Exporter of Sunflower Seeds from Thailand. Available throughout the year, our Sunflower Seeds make an amazing health-promoting snack. 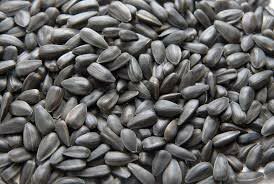 We are capable of delivering bulk orders of the Sunflower Seeds within stipulated time. Buyers can obtain the Seeds at pocket friendly rates.